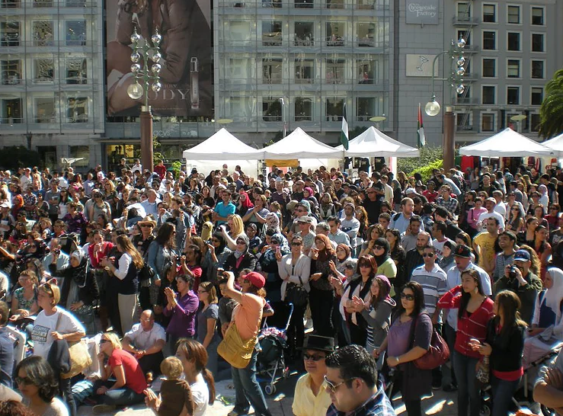 The 23rd Annual Arab Cultural Festival moves to Union Square to bring the sights, smells, and sounds of the Arab world to San Francisco with a showcase of food music, games, gifts and, most importantly, the spirit of Arab Americans and of the Arab world. Please note that this event was moved from October 6, 2018 to April 27, 2019 by the event organizers. Last year, spectators were able to enjoy live cultural entertainment, music, dancing, singing, poetry and more from Morocco, Algeria, Egypt, Yemen, Sudan, Palestine, Jordan, Lebanon, Syria and Iraq. We expect it to be the same this year.